Springtime is on the horizon and is not only brightening the outside, but the inside of many homes as well. In the early Spring months the weather transitions to a lively and vibrant atmosphere and it is time to do the same in your home. Let the natural light and breeze flow through your home and bring in the Spring energy. If you are like the millions of other homeowners preparing your house for the beautiful Spring season there are numerous ways to make it happen while adding your unique style to the mix. For starters, home décor is an easy and fun transition into the new season. To truly get the best out of your home upgrade, make sure you do something that will benefit your home year round. Transforming your home décor to match the season can be done through simple updates or changes that replace darker winter colors with bright colors emanating spring. Storing away dark and thick winter bedding and pulling out the lighter colored sheet sets for the beds is a perfect way to start. This brings the spring feeling straight to your bedroom so you can feel it every night and morning. Throughout the house the same strategy applies. To liven up the living room bring out bright colored throw pillows for the sofa, love seat or chair. In the kitchen, towels, utensils, oven mitts, placemats and the table cloth can also be changed to brighter colored ones to match the rest of the home. For a final touch on your new spring décor, bring the outdoors inside your home with some blooming colorful flowers. Even with the new spring season home décor, spring cannot truly be embraced without allowing natural light and air to flow throughout. One of the most popular home upgrades during this vibrant season is spring white shutters. 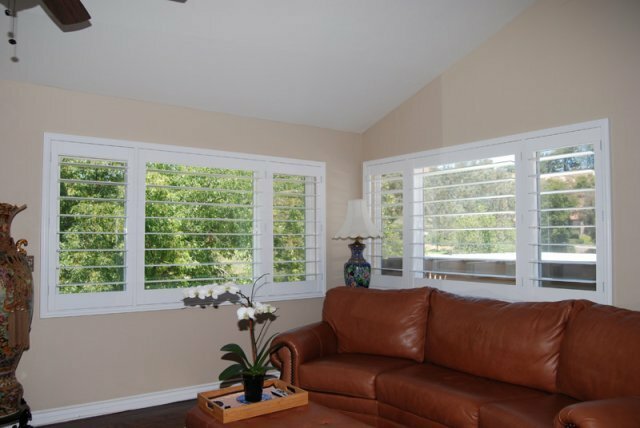 Adding white window shutters to the interior of your home provides ultimate control over light and air flow. Windows are the focal point to drawing a natural and fresh feeling into the home. Louvers offer functionality as well as control over how much light and air is allowed in. Shutters can be opened all the way brightening the entire room with natural light or they can be partially closed to allow light and airflow while maintaining privacy. By adding new shutters to your windows you can enjoy the benefits not only in the Spring but year round.